As you reach for a bottle of sparkling water, so you can pour yourself a bubbly, refreshing glass, do you hesitate? Are you suddenly struck with a long list of questions that refer to the potential damage you could cause your oral health if you choose to drink up? We understand. You probably know a lot about avoiding acidic beverages and sodas, about drinking still water, but sparkling H2O … now this is a new one. Let our Conroe, TX team guide you through some helpful considerations, so you can enjoy your sparkling refreshment sans guilt. You know that soda is a very acidic drink that can cause significant problems for your oral health, so when you consider enjoying a glass of bubbly sparkling water, you worry. Are these beverages related in their acidity? Fortunately, sparkling water is nearly neutral (like still water). It’s the slightest bit acidic but it’s nothing that you need to worry about. Long story short: Enjoy! Now you know you don’t have to worry about beverage acidity when you want sparkling water. Do you need to worry about bubbles? The answer is a convenient and welcome no. Go ahead and drink up! This carbonated beverage is perfectly fine for your oral health. 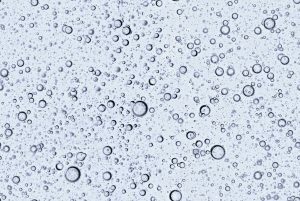 We have good news for you if you’re a sparkling water enthusiast: Sparkling water is still hydrating, just like the not-bubbling water you enjoy is. So, if you’re hoping to include it in part of your daily quote for consuming enough water to feel you’re providing your body with the hydration it requires, you can go right ahead. Now, on the other end of the spectrum, there is just one threat to consider when it comes to sparkling water. When you’re drinking the pure stuff (just water and carbonation), you’re in the clear! However, this immediately changes when there are any added ingredients like sweeteners, dyes, or anything that turns the pH more acidic. Check the label before you sip to feel sure you’re not putting your teeth, gums, and more in the path of harm! When you have questions about any of the selections you make for your daily intake of food and beverages, don’t hesitate to bring them to our attention. From wondering about sugar to sparkling water, we’re here to help! Come in for a visit in Conroe, TX by scheduling a visit with the Dental Centre of Conroe by calling (936) 441-4600. We serve patients from Conroe and the neighboring communities.